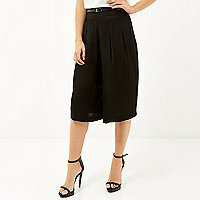 I purchased the black culottes from Biba and I’m very excited as I’ll be wearing them tonight for my night out dining with four fabulous girlfriends. 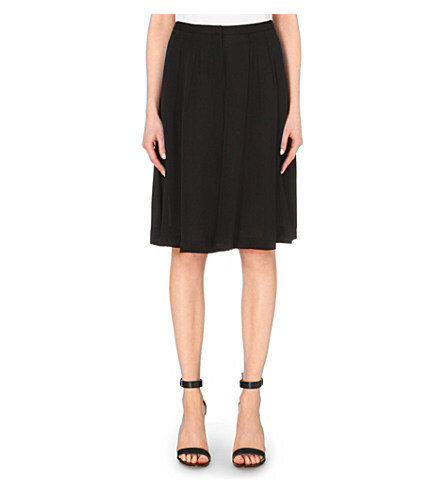 What I’m loving about the ones I’ve gone for is how they look just like a midi skirt but they are not! This gives me as much freedom as I’m currently enjoying with my latest black jumpsuit from Phase Eight – easy, versatile and yet stylish! 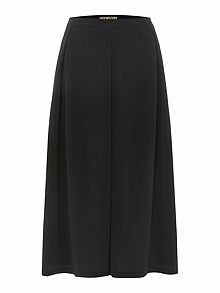 I’ve opted for black as for the most part I plan to wear them in the office; again you can easily dress culottes up or down according to your plans – I originally wasn’t much of a fan of this trend, but after seeing these styled by Victoria Beckham and Demi Moore, I thought I’d try a pair and I’m so glad I did. One tip I would suggest – avoid flats. Some lengths may not finish where a typical skirt does and so lengthen your legs with some heels – wedges are fine too, but with flats you may end up looking a little stumpy on the calf. Tonight I will be teaming these culottes with a satin black vest top and a black lace cardigan that I’ve now had for about 20 years! – I love this cardigan as it adds an evening feel to simple black garments. I’ll be accessorising with black stilettos, my vintage looking black clutch and jewellery of silver and pearls. For a burst of colour I will have bright orange nails, Chanel’s “Holiday” plus orange lippy to complement. Next Post Chantelle Lingerie – It’s time to get Sporty!